Last week one of my younger followers on twitter got at me about the producers who ended up being number one seeds on our March Madness ep because he felt like they were "old" & younger producers such as 9th or Khrysis should've been number one seeds. Now while most folk would've ignored the tweet, the educator in me felt like this was a teachable moment to school the youth on the OG producers who these younger cats learned from. So for this week's ep of my podcast Apt. 5B with Porsha, Nick, Yinse, Vern, Gadget & Grap we're chopping it up about our top 5 tracks from Dilla, Primo, Pete Rock & RZA that we would tell someone just learning about them to check for. 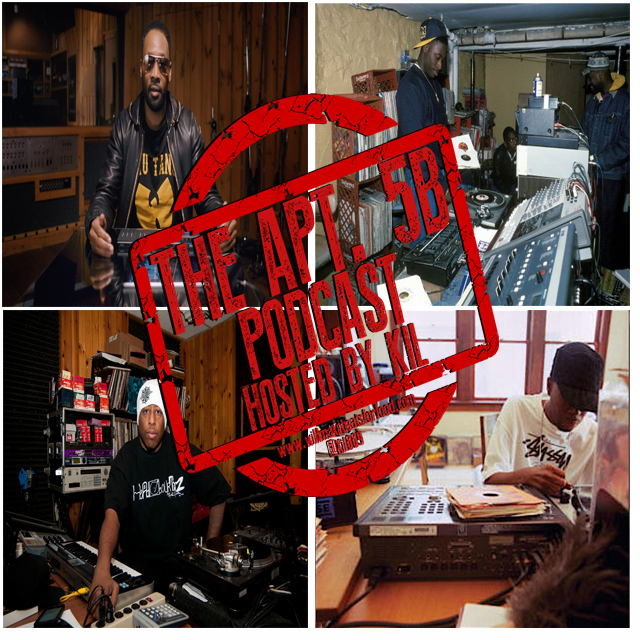 Plus we get into a dope discussion on hip hop producers using samples already used by other hip hop producers and we end the show with the ish I started on twitter last week about my 80/20 split story! Trust & believe it's just ANOTHER dope ep and don't forget to subscribe to our You Tube and Mixcloud channels!